Would you want to renovate to improve the comfort of this house? In this house, is an example of a difficult decision. A difficult passive house renovation decision. Did you know you can renovate a house to the Passive House Standard? It is called “EnerPHit”. It is slightly less onerous than the Passive House Standard for new buildings. But it still provides exceptional comfort and lower power bills. But they make it less onerous (“they” being the Passive House Institute in Darmstadt, Germany) because it’s very hard to achieve airtightness and continuous insulation etc in a renovation. The other week we went to Hobart to see a site which was potentially going to have some Superpod® passive house new buildings. But there’s a gorgeous old 50s house on the site. It would be great to renovate it. A builder looked at it a few weeks ago and said “pull it down, it’s not sound”. I think he might have been barking up the wrong tree. Do you want to improve comfort when you renovate your house? But if you were to decide to keep the house, how would you renovate it? Would you focus on reblocking, repainting, and replastering? Or would you also reinsulate, make airtight, and replace windows? We want to reduce energy consumption, and re-using and re-cycling is often a good sustainable practice rather than knocking down and rebuilding. But if you are going to re-use this house, you may as well make it comfortable. And you may as well save on energy consumption for the rest of the house’s life. I hope we can work out a way to renovate this building and make it even better than before. As you make your new year’s resolutions, think about getting better comfort for less energy consumption. Think about the renovation decisions you make. Think about the new building purchases you make. Don’t leave it to the world leaders in Paris. You can make a difference to the world now! 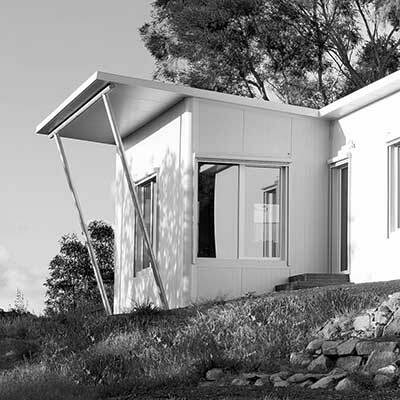 Use Superpod®, or design your own passive house, or renovate to the Passive House EnerPHit standard. What have we got to lose? Only more heatwaves, only higher temperatures than we can bear.